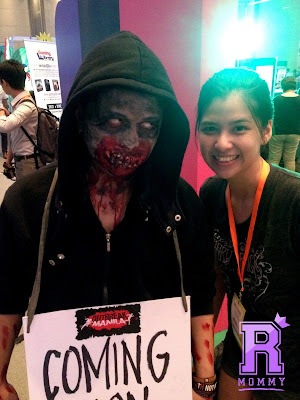 Blogapalooza is the biggest business to blogger event in the Philippines that happens every year. 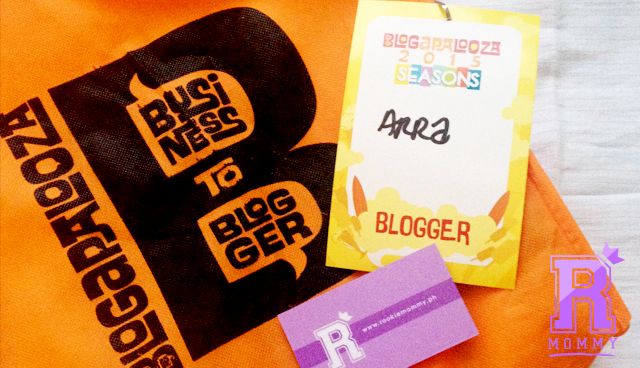 This year, Blogapalooza 2015 Seasons is the first Blogapalooza event that I have been to. 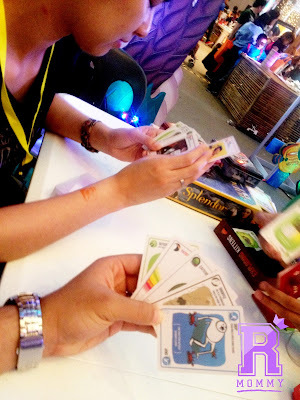 Blogapalooza is in no doubt the most awaited event of bloggers, and this year they promised it to be bigger and better. However, that is not quite what me and my friends experienced. A lot of bloggers says that the previous years were more far better simply because participating brands were more active and engaged to the bloggers, also the giveaways were really something to be blogged and reviewed about. But this year, instead of bring home actual products and potential brand services, we took home a LOT of flyers, leaflets, and brochures. Oh, and eco bags! Not really what we're expecting. We weren't able to fill-out the feedback form so let me just share it in here. But first, let me share with you the brands that really stood out and knows how to properly showcase their brands. 1. 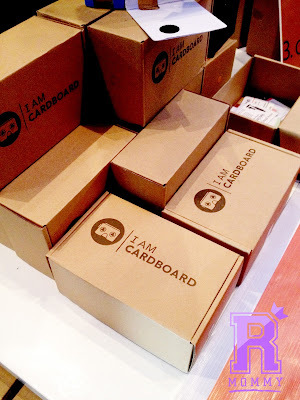 I AM Cardboard PH - I AM Cardboard PH is probably the coolest thing I have experience during Blogapalooza. It makes virtual reality accessible to the mass market by providing virtual reality headsets based on the successful Google cardboard template. We were so busy having fun that we weren't able to take photos of ourselves with the headset. This is really cool! 2. 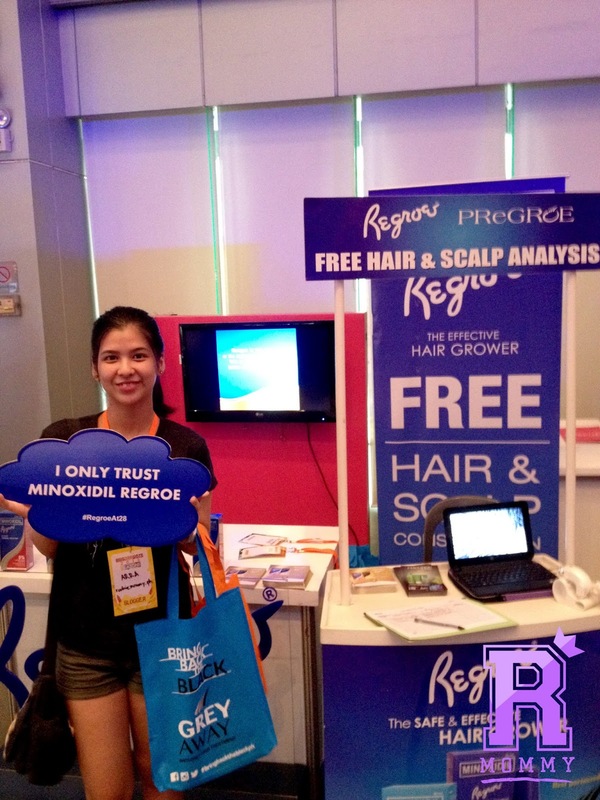 Regrow - PreGroe - This booth rocks for providing free hair and scalp analysis. Somehow, it is important for me to find out whether I have healthy hair and scalp. And I do have healthy hair and scalp! 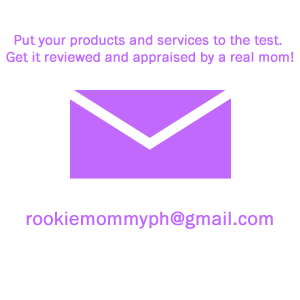 So, no need to purchase their products yet but I am happy to give out their sample product to a relative who needed it. 3. Flawless Face and Body Clinic - although I am not sure how playing golf relates to their brand, I sure did have fun taking pictures on their booth. That's still a gimmick! Plus, the marketing person is really fun to talk to! They also given me discount vouchers for my future visit and service review on their branch. 5. Dyce N Dyne - Oh, my! Me and my partner had a good time playing at their booth. We played exploding kittens and we loved it! We actually wanted to buy the card but we didn't bring some extra cash with us. 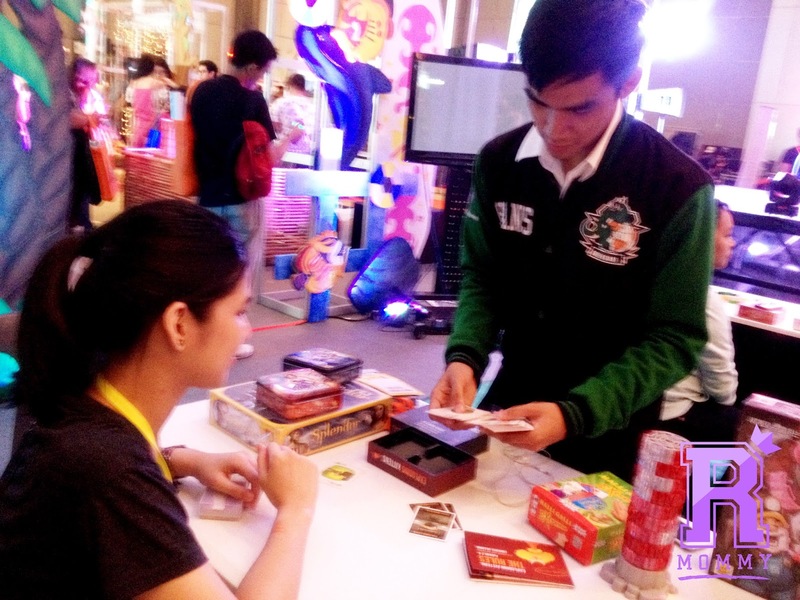 Dyce N Dyne is a popular board game bar/cafe in Metro Manila. 6. 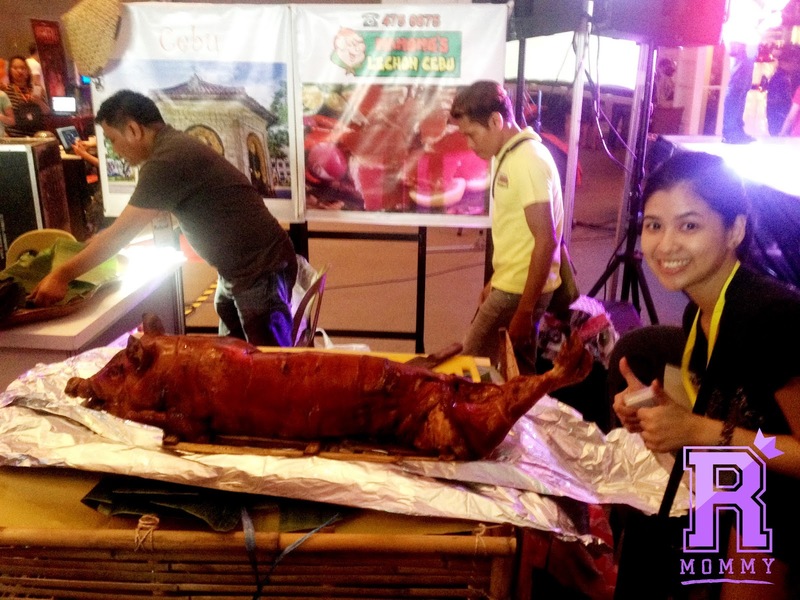 Manong's Lechon Cebu - This is the best booth that we visited! We got the chance to taste their scrumptious Cebu Lechon and it was so delicious! No sarsa needed! Wifi was provided but it is hard to detect and to connect to it. There were almost 600 bloggers (as stated in the event details) participated but there was only one internet connection. In an event where likes, follows, and hashtags mattered, this should have been the priority. Not all bloggers are postpaid users, has wifi kit, or data plans. The event was a bit disoriented. We do not know what to do or where to go after registering. We just went inside and went all over the place without knowing that there was actually a first booth that you needed to go to you can get your Blogapalooza ecobag and place all of your goodies. Organizers were hard to find to ask some questions about the event. We searched and looked for the ones in uniforms but they were just really hard to find! We ended up asking the guys who has the One Esplanade shirt for our questions. We were not aware that senior citizens and kids were allowed to attend the event. Is this a proper event for them? WHAT IF: Blogapalooza is not just a 1 day event? 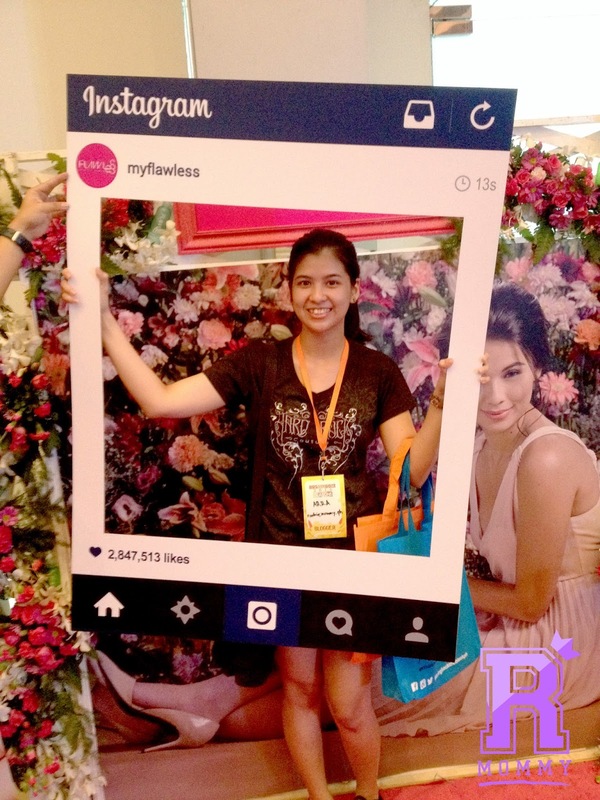 Each day is a different theme for brands and bloggers so that the event is more targeted to their market. 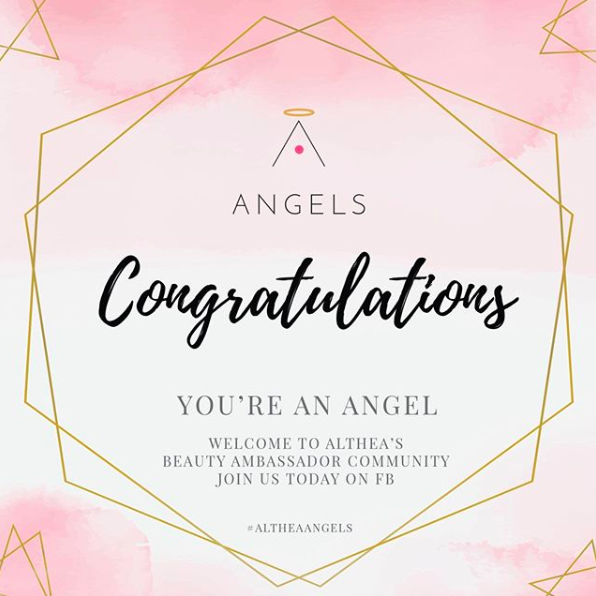 (Beauty bloggers for Beauty brands, Tech Bloggers for Tech brands, Travel bloggers for travelling brands, Mom bloggers for Mom brands / products / services, Food bloggers for Food brands, etc.) - I think this one will be a much more successful event simply because the brands and bloggers are matched, thus, creating more engagement and interaction. WHAT IF: Blogapalooza was held on a Saturday night? More bloggers could have stayed until the end because, hey! tomorrow is still a weekend and there's no work to be done, and there's no need to wake up early. Just a thought. WHAT IF: Blogapalooza was held on a more spacious venue? Where there are actually chairs and tables where the attendees can sit and eat while enjoying the event. WHAT IF: There were food stalls inside? Because people were starving and thirsty. WHAT IF: There were trashcans inside? Some booths offered food tastings and there was no trashcans placed on the corners of the venue. We were just wondering why on earth are you giving away pens, fans, mugs, pillows, key chains, etc.? WHY? Does it have anything to do with your brand? Will the bloggers be blogging about these items? Kumbaga, may maibigay lang? You did not invest in Blogapalooza to just sit with a big fat logo of your brand at your booth. We just don't get it. You can talk to us, really, bloggers don't bite. We will love it if you'll tell us more about your product or services. Excite us with your brand! Do gimmicks that is relevant to your brand. You have to remember that your brand will be remembered. 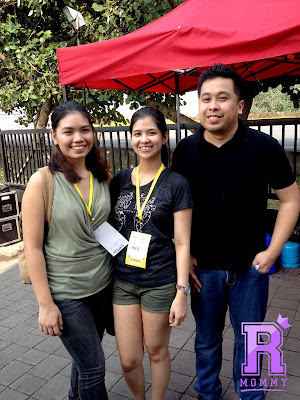 Please don't think that the only reason why bloggers went to Blogapalooza is to get freebies. Well, that is one. I cannot speak for all but I respect myself as a blogger and as a blogger I expect more from brands that participates in these kind of events. The giveaways that you will give will be reviewed and blogged about. Once published, it will also stay on the internet forever. So, invest! invest! invest! Contests should not be dependent on internet connection. Since the internet connection is too slow. Downloading your apps was clearly not a good gimmick. You want more bloggers to participate and not walk away after reading your mechanics. WHAT TO DO NEXT TIME: Announce that bloggers must Like / Follow your page or download your app so they have more time talking to you and getting to know your brand rather than spending so much time downloading and loading the social media pages. 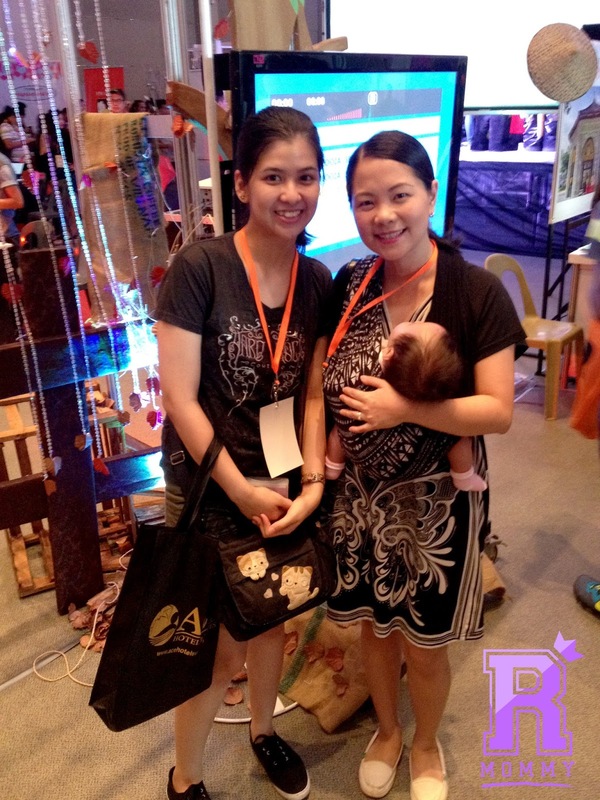 Will we be joining next year's Blogapalooza? Hmmm... Yes? No? Maybe? We don't know for sure. But one thing we know for sure is that that we will look forward on the bigger and better Blogapalooza. Despite all of that, me and my friends still enjoyed the event. The best part was seeing each other again after a while and another best part for me was when a few bloggers called and said "Hi" to me during the event. There you go! Blogapalooza 2015 was an experience I will not forget and I look forward to future events of Blogapalooza. 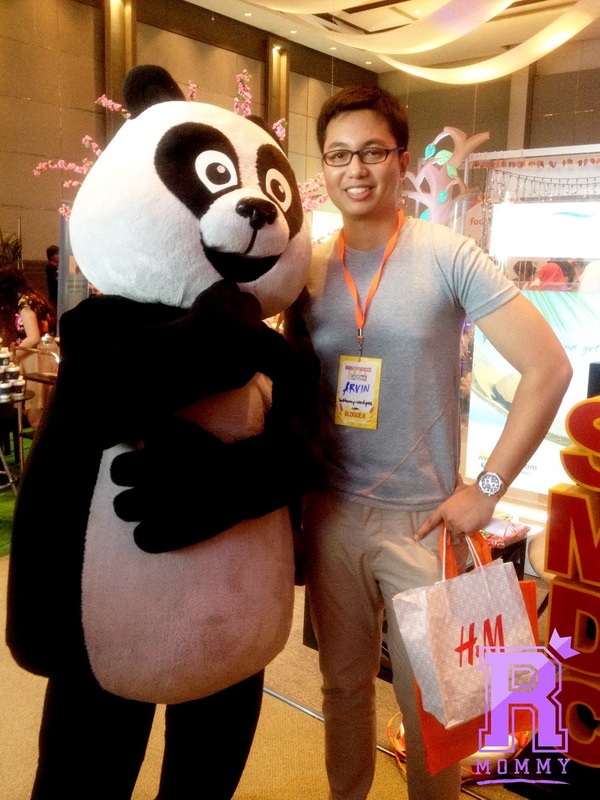 22 comments on "My Blogapalooza 2015 Experience: Expectation vs. Reality"
Love the recommendations, as these were all very constructive. Might I add, it would have been great if there were games or activities so that bloggers can get to know each other. The chairs recommendation can help so that we can sit down and talk. Sad that I wasn't able to meet you in person Rookie Mommy! Very well said!! Syang we didn't meet yesterday!! Thanks for commenting! Yes, I was actually looking out for you near the Manong's Lechon. Haha! Maybe we get to meet some other time. Chairs are very important. We ended up seating on the floor. Yikes! Awesome observations and feedback! As an event and marketing person, these recommendations would definitely go a long way. I'm a Wedding Planner Assistant (virtually) and loves organizing events so this is very much important to me. :) Hope the future Blogapalooza will be much fun and crazier. I wasn't able to attend this year's Blogapalooza event since I wasn't feeling very well over the weekend. I was, however, able to attend the previous gatherings and judging from what you wrote here, it looks like the previous ones are way better. I like your suggestions- they should consider them. I think so too! I researched non-stop and looked at photos from previous Blogapalooza events and they seem much more fun that this year. This is great! I agree on you on so many levels. ahaha. I also want to comment on the music. It was to loud, hence I can't hear what the sponsors were saying. I just wished they didn't place it at the center. Oh, yeah! That also! Haha! I remember almost shouting with the sponsor because I can't hear her properly. Wow ang bilis ng feedback! So true on giving out flyers. There is this one booth that let me registered then he just handed me a lot ot lot of flyers! Like what the? Ni hindi man lang nya inexplain ung product nya ano den ang ilalagay ko? I honestly enjoyed taking pictures with some of the bloggers and celebrities! At sa sobrang pagod ko wala man lang upuan kaya I ended up sitting on the floor! Apir tayo sa sitting on the floor. 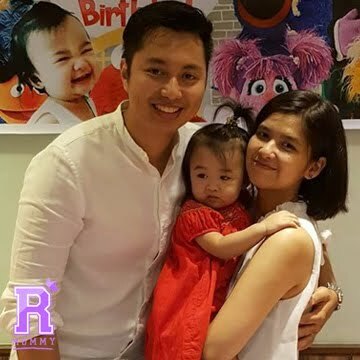 Hehe kami din! We eat on the floor nanga din because there were no tables and chairs diba. Flyers are actually good advertising materials BUT we need more! Everything on the flyer can be found on their website and social channels naman. Sayang! Gusto ko pa naman makita ito since this is supposed to be my first time to attend an event like this. But I was not able to make it to the event dahil may run ako. But anyway, I am sure there is always a room for improvement. Thanks for the insights and let's hope that next year is going to be good or maybe better!